The 1972 Kellogg’s set consists of 54 cards, each one 2-1/8” by 3-1/4” … a decrease both in count and overall dimensions compared to the prior two years of issue. 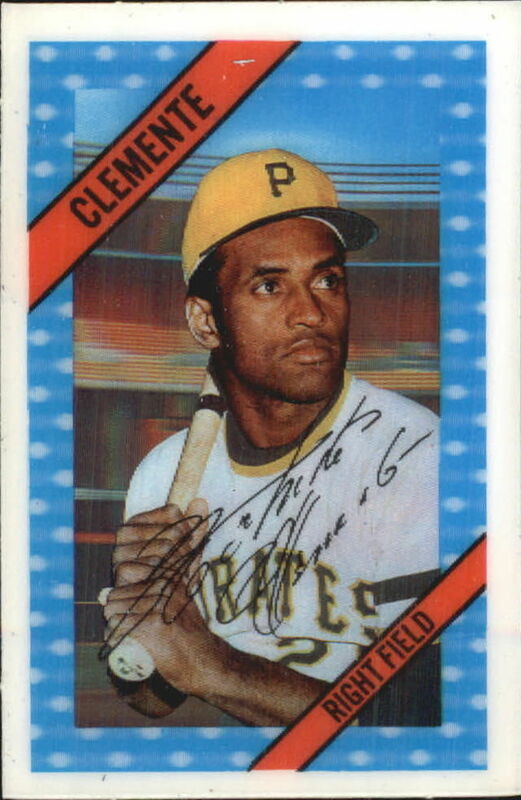 Available via a mail-in offer on select boxes of Kellogg’s cereal, all of the cards in the 1972 baseball series were coated in plastic and designed to simulate a “3-D” appearance. Each displayed a vivid color likeness of a player with a pair of diagonal bands – one identifying his surname and the other his position. A facsimile signature graced each piece, with the entire design was framed in blue with white spots. Card backs have a horizontal design that includes the player’s name and statistical data. A few cards were originally printed with statistical errors that were later corrected, though there is not much difference in value between the two versions. Cards in their original plastic wrapper are also slightly more valuable. Due to their plastic-coated surfaces, Kellogg's cards were known for easily splitting, cracking, and curling, leaving pristine examples are also difficult to find.